IF - the insight-led creative agency – has developed a new campaign for Knowsley Safari aimed at the family cinema audience. 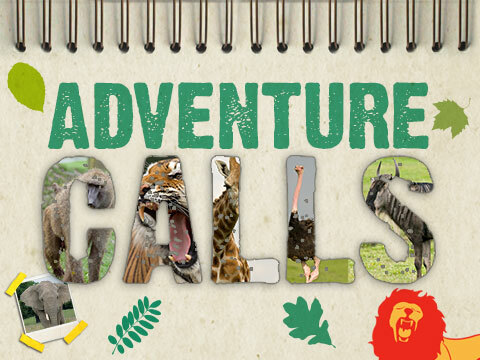 Coinciding with the release of a number of family films, the 30 second advert, called Adventure Calls, will be shown at cinemas throughout the North West. It features many of the amazing things to do and see at Knowsley Safari: including watching the lions prowling, visiting the murky bat cave and spending time with the playful sea lions. All of which are told from the perspective of a child. As well as the cinema advert, there will be a six sheet poster campaign in the foyers of selected cinemas across the region which will also promote a 10% off online offer. IF developed the creative idea, story board and all supporting design assets. Vizeum acted as the media buying agency and Sky animated and produced the ad. Knowsley Safari also has a TV campaign airing on Nickelodeon throughout the year with seasonal competition slots.